At Alan’s Excavating, we have the capability and experience to construct a wide variety of projects. Although our specialty is performing commercial site preparation and building pad construction, we are very proficient in building heavy highway and complex, phased city street reconstruction projects. Our extensive fleet of equipment and trucks ensures we have whatever tools are necessary to complete the tasks put before us. If needed, we also have the capacity and know how to take your project design and make it a reality by teaming up with and managing subcontractors to build your job efficiently and within your budget. 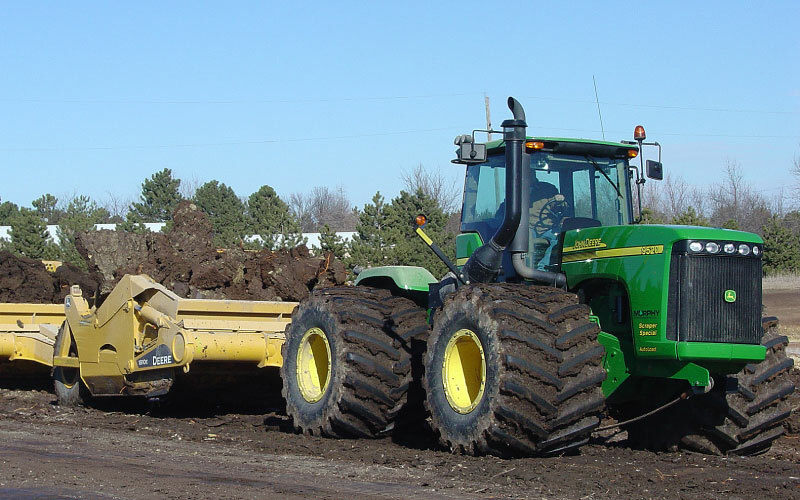 Commercial Site Grading and Building Pads are our “Bread and Butter.” When “The Alan’s Crew” and late model Caterpillar equipment show up on your site it will not take long for you to see results. We take great pride in delivering our customers a building pad ahead of schedule so they can start their foundations. Alan’s Excavating, Inc. performs a number of K-Dot and County Highway and Road projects every year. We also are very efficient at mass grading bare land to bring you a site on grade and suitable for construction. 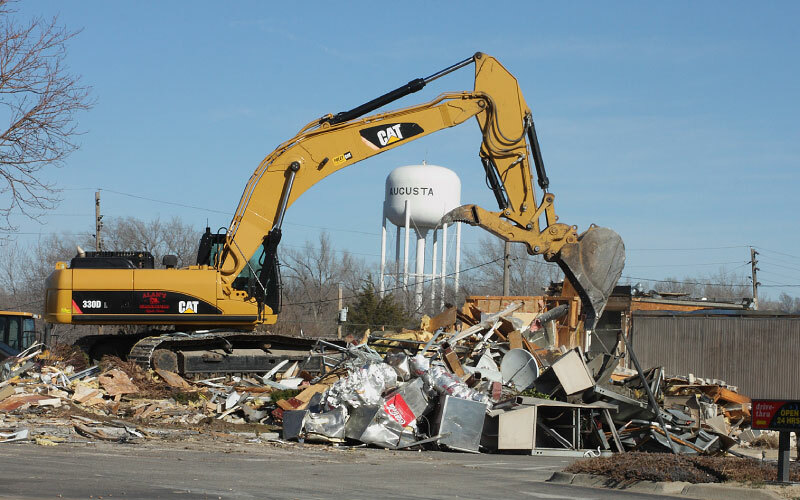 Whether you are in need of demolishing an entire structure or seeking selective demolition, Alan's Excavating, Inc. has the expertise and equipment to safely demolition and remove any structure. No demolition project is too small or too large for our crews to handle. Over the years we have provided demolition services to contractors, project managers, government agencies, commercial and various other types of organizations. We take pride in our years of professional, incident-free demolitions. Having the proper equipment helps, but it is our experience, knowledge and precision that have kept our clients happy. We're licensed and insured, so you know you are protected. Experience is imperative in doing this type of work and with over 30 years of experience, we get the job done! Please feel free to contact us for our past demolition projects and experience. Alan's Excavating, Inc. has the experience and skill to handle utilities installation projects including extensive modifications, expansions, and complete new system installations. 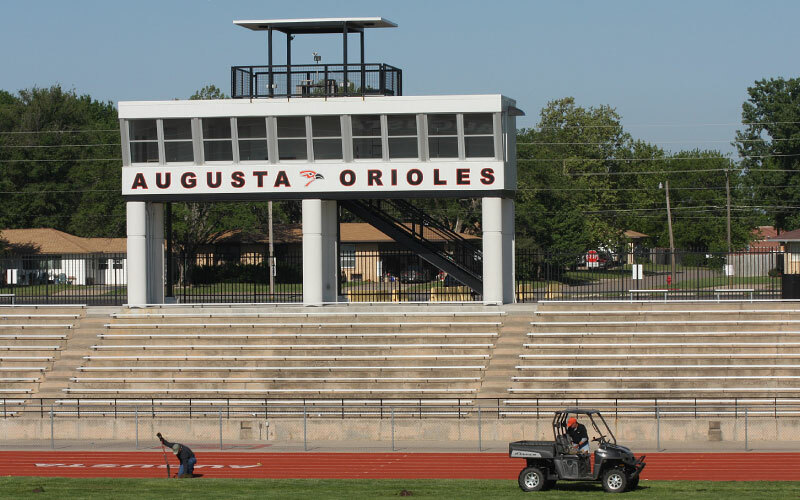 We work with a variety of materials and applications including commercial, industrial, and heavy/civil site projects. Whether it is reconstructing an existing utility system or a complete new construction utility installation, Alan's Excavating can handle all of your underground utilities installation project needs with a keen eye on budget. Land clearing can be a large scale project involving heavy equipment and many safety requirements. Preparing to build on raw land may require services like erosion control, excavation, grading, vegetation management, brush cutting, tree shredding and even mulching. We employ a full range of equipment for land clearing including shears, chippers, grapples and excavators sufficient to complete all land clearing requirements.